The 5K is on Saturday, November 3, 6am-noon (3-hour or all day volunteer shifts), at Mission County Park Pavilion, 6030 Padre Dr, San Antonio, TX 78214. This 5K is EFCST's most inspiring event of the year and celebrates people with epilepsy and their families. This is a family-friendly and fun event. Your participation will help raise funds for essential programs which help people living with the challenges of epilepsy. A variety of tasks are available and will be assigned on a first-come, biggest need basis on the day of the event. Sign up for one three-hour shift or for both shifts. If you have physical limitations, we can accommodate you. -Packet Distribution (October 30 & November 1, 9am-7pm, October 31 (9am-5pm), at Epilepsy Foundation San Antonio office, 10615 Perrin Beitel Rd., Ste. 602, San Antonio, TX 78217. 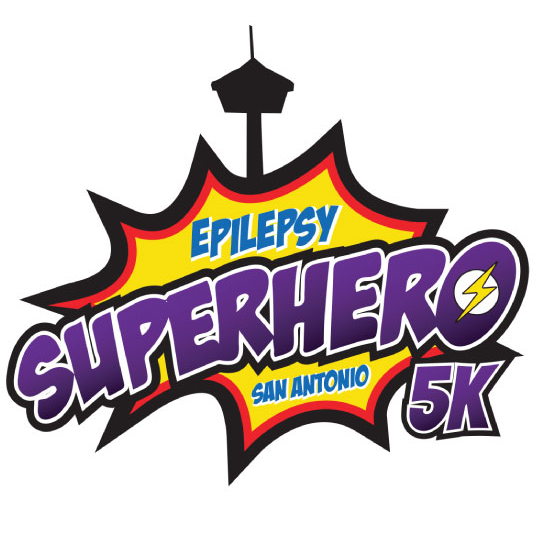 Log in to see who is volunteering for Epilepsy SuperHero 5K Fun Run/Walk!